It’s a beautiful summer’s evening flying into Berlin’s Tegel airport to the north west of the city. A crimson sunset greets us, and a quick 15-minute cab ride into town is a sensible 25 Euros. The Alsterhof Hotel is modern and clean, and we are soon installed at the bar downing a foaming pint of Berliner Kindl lager. The next day we pack in plenty. A modest 6.5 Euro day ticket lets you go all round the town on any bus or metro you like. 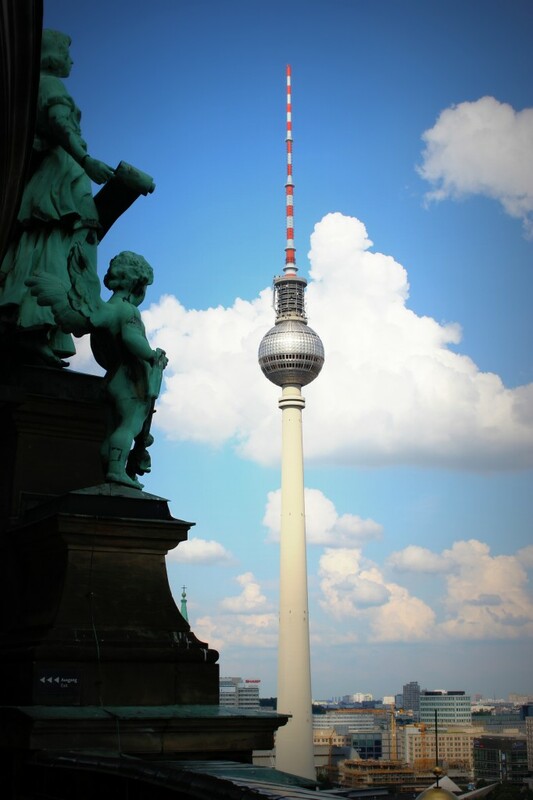 We start at Wittenberg Platz, head for Potsdamer Platz, and walk up to the Brandenburg Gate. The east end of the huge Tiergarten park is charming, although there probably should be a health warning on the Homosexuellen-Mahnmal installation – a chunk of rock that looks like a sculpture but includes an adult video terminal. 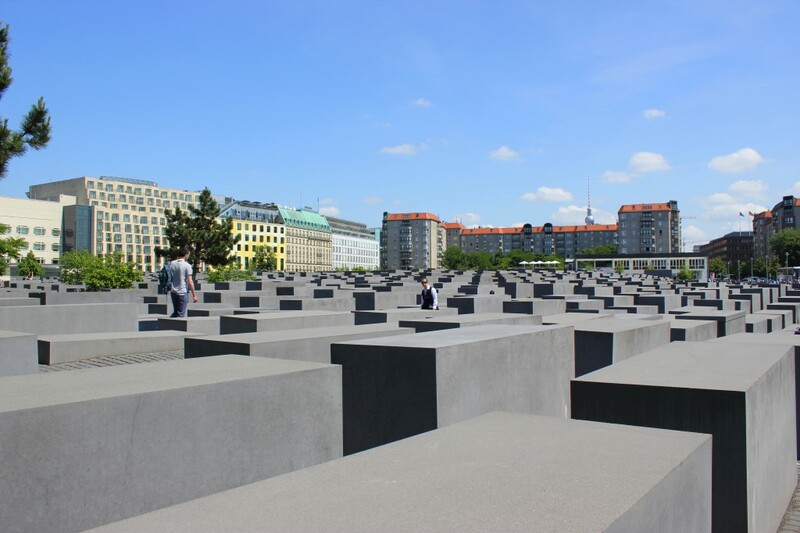 To the east of Eberstrasse is the stunning memorial to the murdered jews of Europe – over 2700 stellae of standing stones that act as a maze, with a harrowing but vital museum underneath. 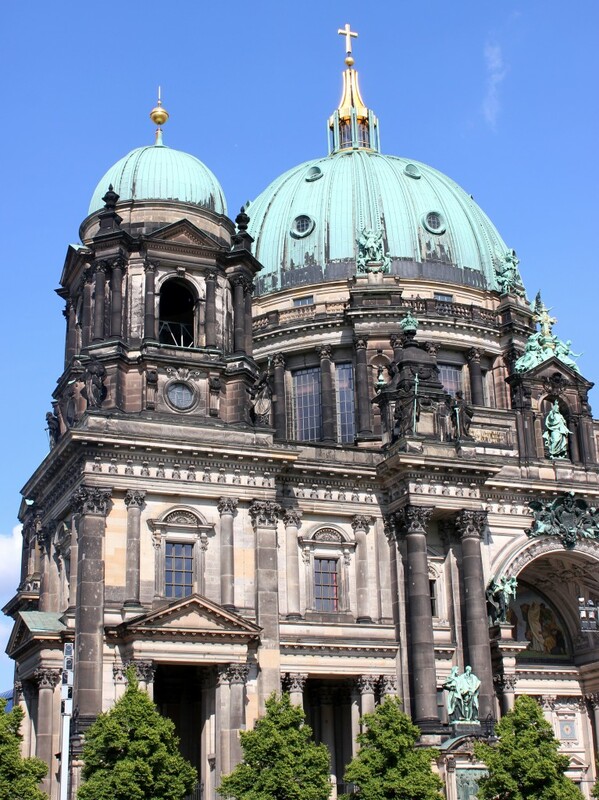 The Reichstag parliament building is closed for a plenary session, so we wander off for lunch and then over to the Berliner Dom, a baroque-style cathedral on the river where you can climb right to the top and enjoy great views in every direction. We top this shortly afterward by having dinner up the Fernsehturm TV tower. The restaurant is 207 metres high, and it’s 368m including the antenna at the top. The food is great, and you can see for miles as you spin round, gently. The next morning it’s off to the zoo. It’s a Saturday, but it’s big enough for people to spread around, and there are lots of animals to see. The nutria is a new one on me – a mini capybara-type rodent the size of a large rat that hails from South America. He’s happy enough chewing on a bit of apple in the sun. The jaguarundi is a ferret-like cat from Central America, and the wolf pack has a cute lone cub. 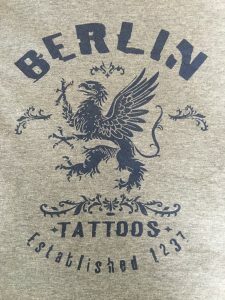 Bears, eagles, tigers – they are all here. Generally good, with a few reservations about the amount of space afforded to the big cats. 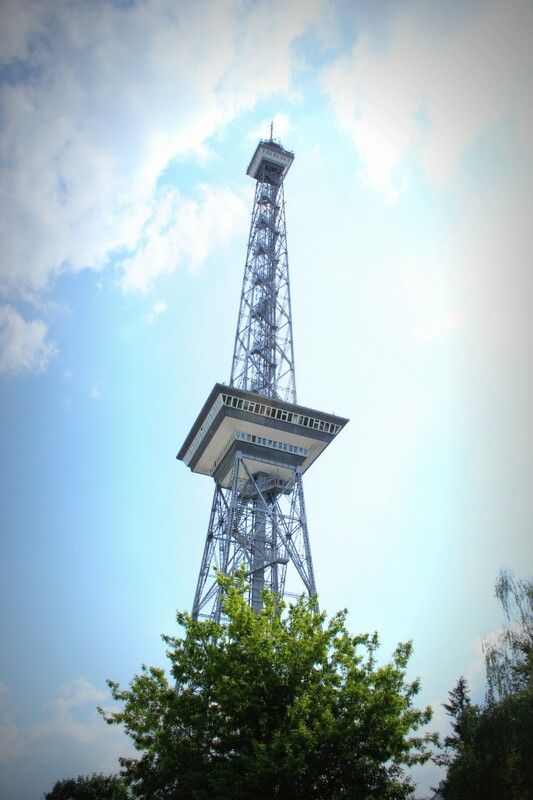 Next it’s off to the Kaiserdamm, and a short walk to the Funkturm for another high altitude meal – this time lunch up the old telecoms tower with excellent swordfish, asparagus, and a cheeseboard to round off. Then we head east to Checkpoint Charlie. The ever-efficient metro offers the U2 line to Stadtmitte, and a short stroll to the iconic border post. As with Brandenburg Gate, the area is reverentially decked out with multi-lingual information boards explaining the extraordinary, and very recent, history here. 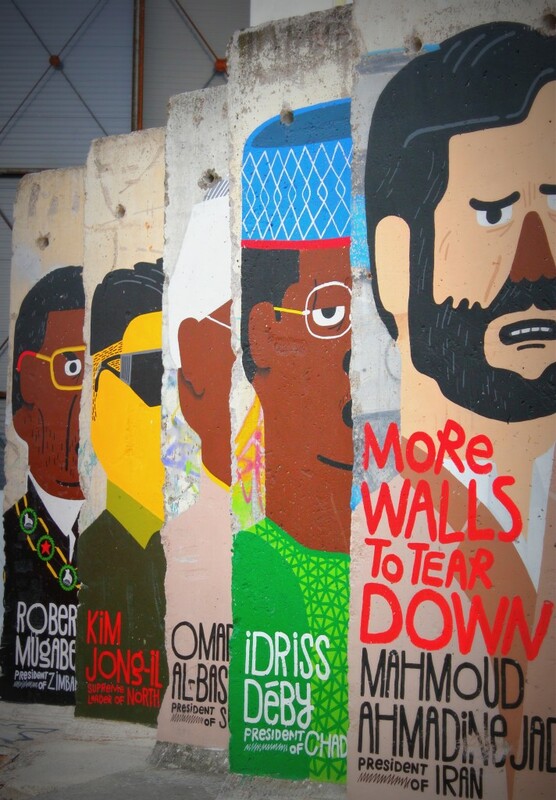 The Berlin Wall was only built in 1961 – the year I was born. 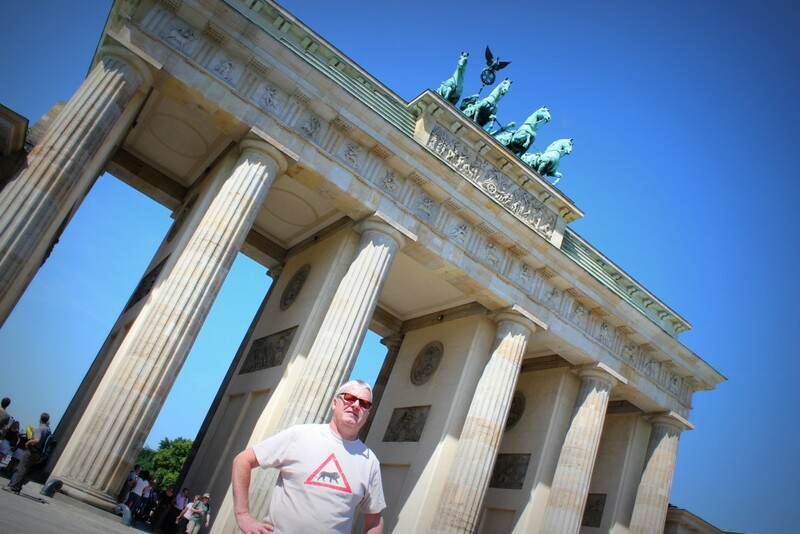 There’s a mixture of defiance and awe amongst the tourists – it’s amazing stuff and needs serious consideration. Then we come across the Checkpoint Charlie beach bar, and tuck in for a couple of bottles of Bitburger. The stories of those shot trying to escape provide a somewhat harrowing backdrop to an otherwise relaxing beer. The following day we wander around the Museumsinsel – an island full of museums that is gradually sinking – and view, among others, the famous head of Nefertiti in the excellent Egyptian exhibition. Concluding remarks: Berlin is certainly not running away from its history. Quite the opposite. The stark reality of the wall and its associated politics is tackled head on. The city is physically attractive and there is plenty to do. The feel is closer to Moscow or Helsinki than one might expect. A thought-provoking and cultural delight. This is exactly the 3rd posting, of your blog I personally read through.